CHICAGO, IL- The Honorable Rahm Emanuel, Mayor of Chicago, has officially proclaimed January 27th, the feast day of the revered Serbian patron saint of education and culture, as Saint Sava Academy Day in Chicago in recognition of the school’s work and for its contributions to the community. Leaders of Holy Resurrection Cathedral and Saint Sava Academy warmly welcomed the Mayor’s proclamation. “The Mayor’s proclamation of St. Sava Academy Day is a very important and deserved recognition for our school, and an honor for our whole community, and I would like to thank our Academy Administration and Board of Trustees for their work which led to this decision,” said the Very Reverend Protopresbyter Darko Spasojevic, Cathedral Dean. Reverend Dr. Vasilije Vranic, priest in charge of the Cathedral’s educational programs, noted the historical significance of the proclamation. “Sts. Sebastian of Jackson, Mardarije of Libertyville, and Nikolaj of Zicha organized the parishes of the Serbian Orthodox Church as ‘church-school congregations.’ Looking at the example of St. Sava, the first archbishop of Serbia, they recognized the indispensable role that Orthodox-based education, rooted in our culture and traditions, ought to have in the life of our communities on this continent. This proclamation confirms and attests that indeed our efforts in perpetuating the legacy of our great spiritual ancestors through our parochial school and other educational programs are bearing a noteworthy fruit. We are grateful to Mayor Emmanuel for his support,” Fr. Vasilije Vranic said. 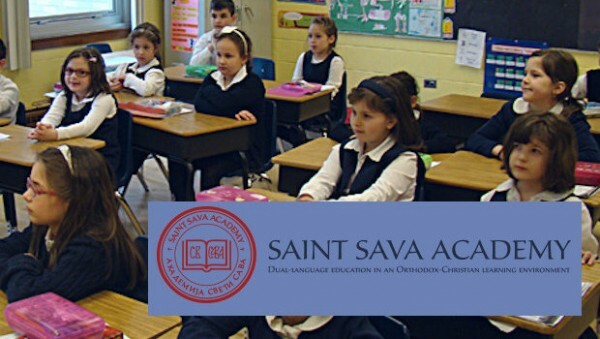 Founded in 2001, St. Sava Academy is the dual language parochial school at Holy Resurrection Serbian Orthodox Cathedral offering a dynamic PreK-8 education. Click HERE for the complete text of the Mayor’s proclamation.